One of the great joys of shopping in Dunedin is the plethora of interesting and quirky local shops, most of which are found within walking distance of the Octagon. There’s something very alluring about stepping over the threshold of a small, owner-operated store full of fascinating finds. We’ve put together a handy buy-local guide with some of the city’s best retail emporiums. Shop the trendy vintage stores stocked with retro treasures, find a literary gem in one of the city’s many book stores or browse the local design stores for one-of-a-kind pieces. Local design collective Guild is a trove of uniquely Dunedin wares, manned by the designers themselves. Just over the road you can also shop for lovely things at Vull Design or purchase the perfect posy at Estelle Flowers. 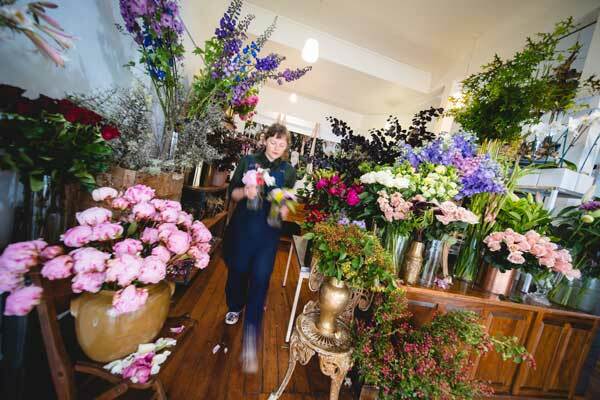 For festive gift inspo, pop up to Roslyn village for a look in at Blackbird or to Fallow & Fox in Mornington where beautiful wares can be found amongst the blooms. At Dutybound Books in the Warehouse Precinct you’ll find gorgeous handmade journals, notebooks, pencils and hot foil greeting cards, truly unique and useful gifts. Or, for exquisite locally crafted jewellery look for Debra Fallowfield, Idour and Henderson Jewellery. It goes without saying that the Otago Farmers Market should be an essential stop on any gourmand’s tour of the city but the excellent food doesn’t end there. Stock up on festive feast supplies at Blacks Road Grocer, Marbecks and the Port Pantry or explore different and equally delicious options at the Kind Grocer and Taste Nature. 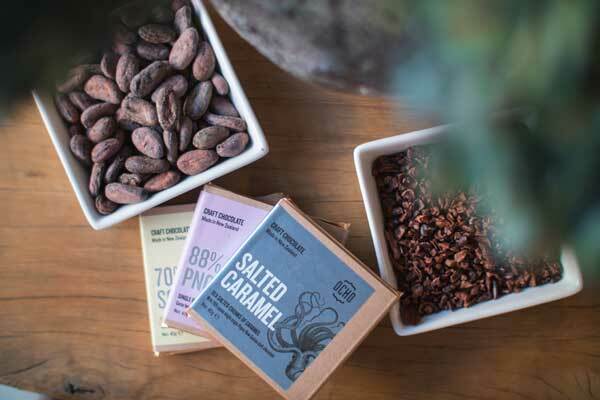 Christmas treats come in the form of Ocho Chocolate and Bay Road peanut butter, but if you’re after something to toast the occasion, then Urbn Vino and Wine Freedom have you covered. 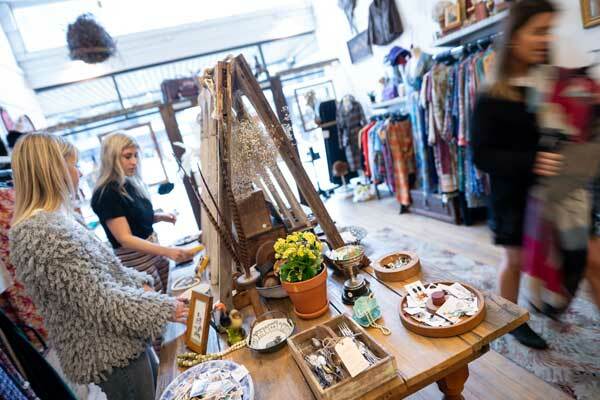 For aficionados of retro clothing, curios and antiques, Dunedin has numerous vintage and second-hand goods stores, tucked away in all corners of the city, just awaiting discovery. Within the beautifully styled stores of Two Squirrels Vintage Emporium, Preservation Society, Finders Keepers and Shop on Carroll, are an astounding array of hard to find vintage threads and accessories. Dunedin’s colourful heritage comes to the fore in the numerous antique and curio stores where you can snap up a piece of history for a song at Taste Merchants and Restore or go high-end at Sue Todd Antiques. 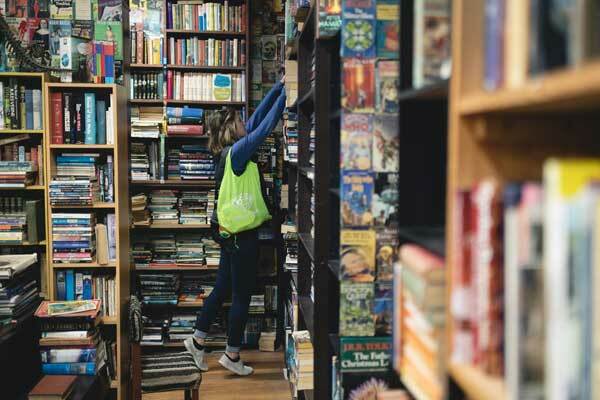 As a UNESCO City of Literature with a large university, books are a vital part of Dunedin’s identity, so it’s no surprise that book emporiums of all kinds can be found here. From the shiny new tomes of the University Book Shop to the well-loved pages and obscure titles within the Dead Souls Bookshop, there is no shortage of places to satisfy bibliophiles. Something of an artist’s hub, it’s easy to find a new piece for your art collection from one of the many privately-run galleries in the city. A great way to spend a morning in between cafes and attractions, a visit to Gallery De Novo, The Artists Room, Quadrant Gallery, Moray Gallery or Milford Gallery will reward you with a wide spectrum of visual arts from contemporary local and New Zealand artists.